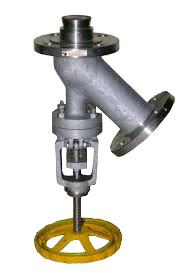 Flush Bottom Valves are used in the Bottom of Reactor Vessels, Autoclaves & other Process Vessels for landing abrasive, Slurry, Viscous Material or Semi Solid fluids. 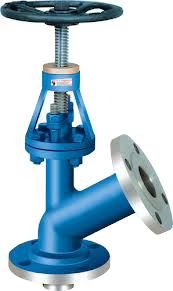 The valves seating is Teflon / Neoprene / Viton depending on the application. This Flush Bottom Valves are provided with Heating / Cooling Jackets extra long spindle and with cylinder arrangements can be made for valve closing. - DESIGN : INSIDE TANK OPENING , OUT SIDE TANK OPENING , BALL TYPE , LEVER OPERATED, GEAR OPERATED. - PRESSURE RATING CLASS : ASA 150 , 300 .